Hello, fellow Juggers! We’re the co-instigators of Jugger California, and we’re overjoyed to have this opportunity to introduce our colorful group to the Jugger-verse. We were introduced to Jugger by Pink Pain back in 2009---Valkyrie was on an academic exchange in Darmstadt for a few months, and saw some people doing weird stuff in a field. Later in the summer, Evan came to visit and got hooked, as well. Soon thereafter, we had our first game! With just seven attendees, we had enough for a stone counter and two teams of three. What rules do we play by? ...and that’s it. As players keep coming back, we gradually explain some of the nuances: out-of-bounds penalties, chain live vs. dead, no Florentine/Q-tip double pins, etc. In the 21 months since the fateful day (OK, two weekends) that we built our pompfen, we started an on-campus group at the University of California, Berkeley (called the Ursae Majoris), competed in our first tournament (the 2015 Mile High International in Denver), brought Jugger twice to each of two games/art festivals in the Bay Area (Come Out & Play Festival, and Figment), and hosted our first local game day (featuring the Riot, the Ursae Majoris, and San Francisco’s Juggernauts)...and with rumors of at least two more groups possibly starting later this year, we’re on track to become the next big Jugger hub in America. We’re also a very creative group! Those of you who stuck it out to the rainy end at MHI 2015 will remember the Blood of Heroes (a beety, bright red ale), which several of our players helped brew. We have the infamous peace-symbol shirts, Jugger weapon cookie cutters, Photoshopped event images for our special sessions (Halloween, Thanksgiving, Christmas), a featured Instructable about our weapon construction, and some special surprises for our first international tournament appearance later this year. The 2015 MHI was a pivotal moment for our group (thanks to the Colorado Jugger League for organizing!). We came back with heaps of tips on pompfen construction, training exercises/games, and in-game strategy---many thanks in particular to the Dropbears and Wild Geese for picking apart our gameplay and making some excellent suggestions for improvement! For the future: we’d love to see a group in the South Bay, as several of our players currently take the hour-long drive up to play with us. We’re planning a trip to the Swedish tournament this year, as well as the 2017 tournament in Australia. Play-wise, we’re slowly incorporating more and more of the training games we learned at 2015 MHI, while keeping the bulk of our practices centered around playing the game itself. Categories: Neue - New Teams, U.S. The rise of German-style, European Jugger began in October of 2010, in the small and historic town of Marietta, Ohio by Wess Apshaga-Meaux. He had been a fan of The Blood of Heroes movie since seeing it in the early 1990s but had no idea it was being played for real as a sport until he ran across German and Australian videos online. 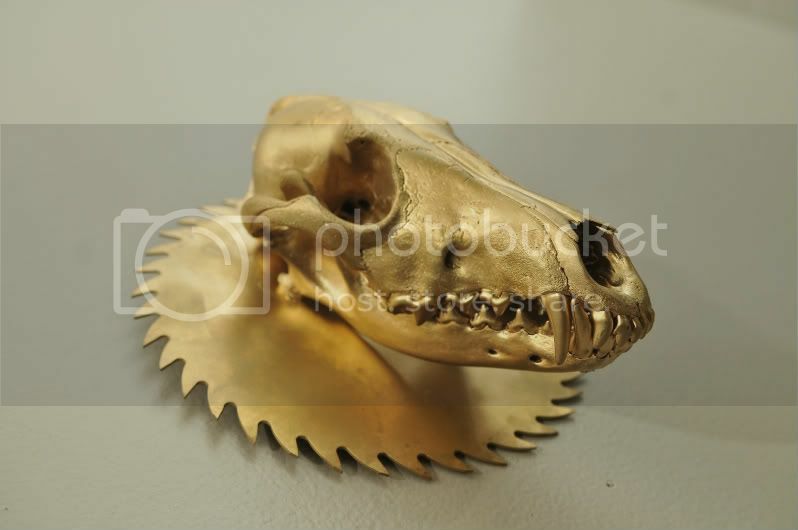 Within a week, he had made two complete sets of pompfen (including chains), a mock dog skull and goals. 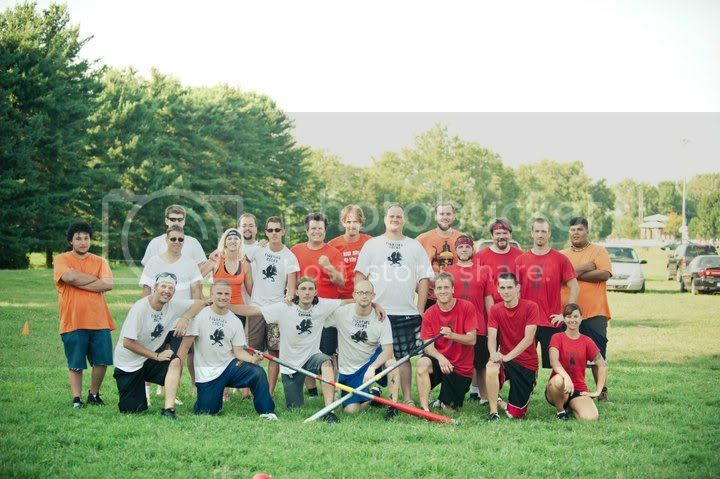 By the following week he had the first Jugger game in that part of the world organized and "Jugger Ohio" was born. Utilizing social media to plan everything, weekly Jugger matches continued to draw people both of a young and of an older demographic. 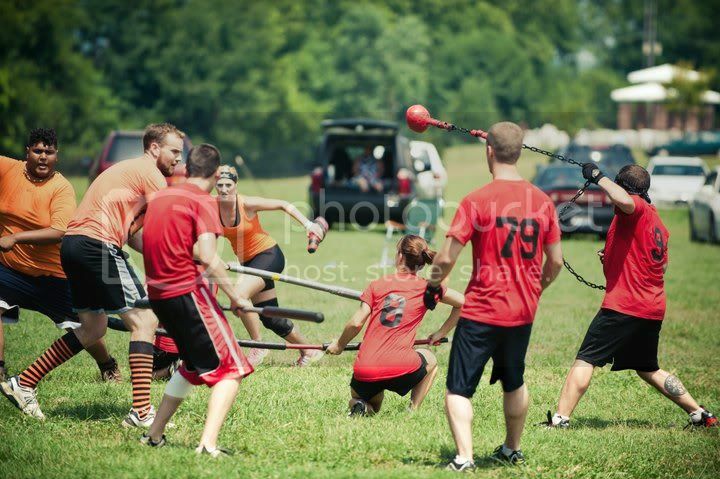 This use of social media also allowed Jugger Ohio to communicate with the handful of other Jugger groups spread out over the USA as well as groups worldwide. 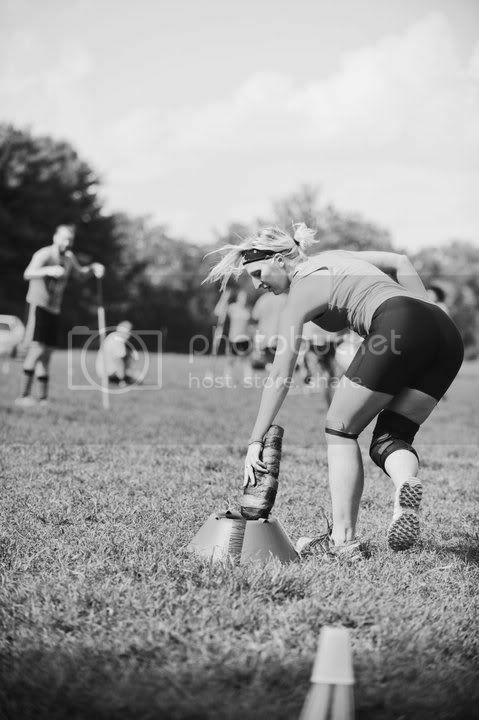 Wess and Jugger Ohio, with the help of Chad McCann of Oklahoma City's Red Dirt Jugger Club, organized the first ever American Jugger tournament. Two teams from Oklahoma traveled over 1,000 miles (1,682 km) to compete against two teams from Ohio in the innagural tournament, "The Dogskull Classic". 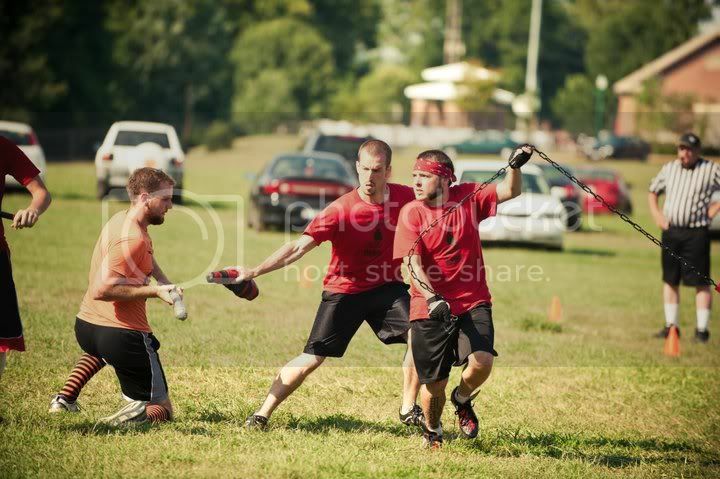 The hosting team, The Marietta Murder prevailed as the winning team and the first official American Jugger Champions. 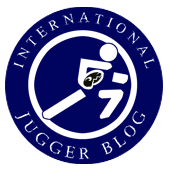 Though still a small community compared to elsewhere in the world, the American Juggers are very dedicated to the promotion and growth of the sport we all love so much! With New Years Eve around the corner the whispers usually begin in the darkened corners of parties, after imbibing mass quantities and yearning for spring’s eternal rejuvenating properties. In the dead of winter, most plans are laid and alliances drawn for the coming event, held every year on the exact same weekend. The third weekend in June is the traditional date set for national American Jugging tournament. The event is simply know as, Arakis. To understand the US version of Jugging, one needs the back story of the unique sport and the people who keep it alive. American Jugging and Amtgard walk hand in hand. What the hell is Amtgard? It is a little know L.A.R.P. game that had its golden age in the American Southwest in the early to mid-nineteen nineties. This is a live action role playing game where participants engage in melee combat with padded weapons. It is not the only organization of this type, those idiots at IFGS come to mind, but there was a large collection of individuals who were interested in mass combat, not playing dress up. Not an official affiliation, just individuals who were like minded. In a game filled with wizards and blanket bunnies, this specific group of individuals were dedicated to force on force, tactical combat with melee weapons. Those people are the Stick Jocks. The two largest cities involved were El Paso, Texas and Denver, Colorado. While El Paso is where Amtgard was created, Denver was established as the first sister city and a major rivalry was born. The stick jocks help fuel this rivalry like cross town football teams. El Paso became renowned for their sword and shield fighters, while Denver boasted the most dangerous Florentine style fighters in all of the kingdoms. The Blood of Heroes was released by HBO direct to video in the days where direct to video marketing was being developed and explored. This is the only movie that David Webb Peoples has ever directed. David is also the screenwriter for Blade Runner, The Unforgiven, and Twelve Monkeys to name a few. Both Amtgard groups being aficionados of science fiction had viewed this movie independently from one another. By the fall of nineteen-ninety many of the ardent stick jocks had gotten together to review the movie, ad nauseum, and devise not only a complete rules system but how to construct weapons safe enough to permit full force sparring with safety in mind. Or at least the perceived illusion of safety. Pick up games developed into regimented practices and team creation. By the time the annual Amtgard gathering arrived in July, both cities had developed fairly similar rules for jugging and nearly identical weapons construction. In the fall of ninety-one, there had been several meetings between the two largest chapter members and a league wide all-thing was called. The rules for Jugging were official ratified by the start of nine-two. The annual Amtgard gathering was usually hosted by El Paso and was held the third weekend in July in New Mexico. El Paso felt that Jugging was a novelty and decided a small, informal, tournament was all the investment required for the festivities and announced so at the winter all-thing that year. Enraged, the citizens of Denver contacted the population of Amtgard announcing their own plans for an event specifically dedicated to the sport of Jugging and nothing else. And to stick it to El Paso, it was going to be held the third weekend in June. This created even more bad blood between the sister cities and was met with adulation by the general duchies and baronies whose populaces began to train immediately for what would be, quite literally, the Super Bowl of Nerds. Many arguments have arisen over the years squabbling about whom created the rules for Jugging, but it was Denver that fostered and incubated the idea into the annual national event that it has become. The original site for this event was the Great Sand Dunes National Park and Preserve. This Park is best described as if giants put a chunk of the Sahara Desert in the middle of the Rocky Mountains. The pictures on the website will give you a greater understanding of the terrain but the short story is that the backdrop for the event was unbelievable. The field was always placed along the creek riverbank with the sand dunes in the background and the Rockies looming behind them. Truly spectacular. The event drew its name from the sand dunes themselves, Arakis. Over the years Arakis has evolved and even changed locations several times no longer being held at the national park. None has ever matched the beauty and majesty of those early years at the Great Sand Dunes, you can tell when you ask the old guard and they get that far off look, growing weepy and silent. In addition to Bos article, here a glimpse in US Jugging. The differences between German and US Jugger style show up nicely.